Lower cost —-Compact structure. Cost-effective. 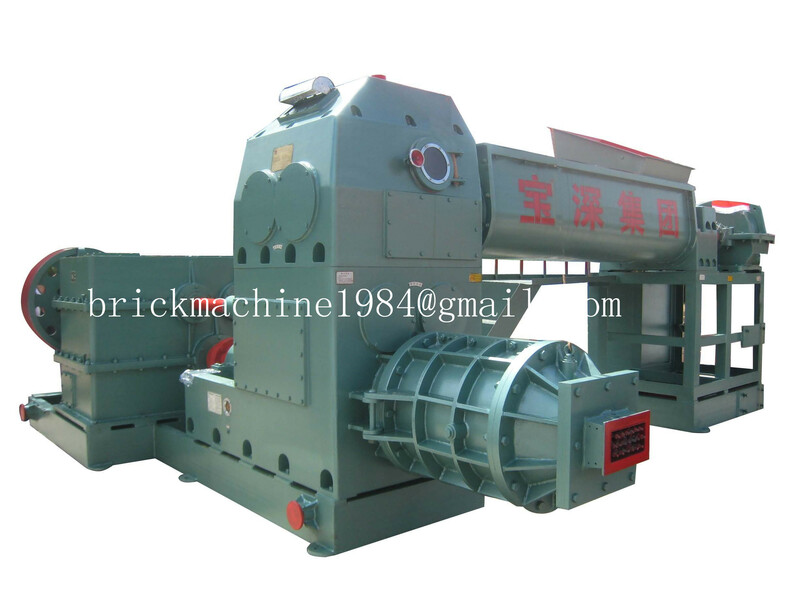 Reliable performance —-It is controlled by air clutch, sensitive, convenient and reliable of operation. Stronger adaptability —-It’s applicable for the production of high-rate hollow bricks with the materials of coal gangue, fly-ash, shale, urban construction waste, gangue waste, inferior soil and etc. Easily operation —-Two stage vacuum extruder automatically extrude green bricks. & Cutting strip controlled by PLC, simple operation. Longer operation lifetime —-The machine adopts high quality bearing, guarantee the machinery lifetime. & Gears of reducer are hard tooth surfaces. Convenient maintenance —-Reasonable structure designing. Wearing parts easily replaced. Simple daily maintenance —-Maintenance Cycle : One or two times every month.